JANUARY 2014 • FOODSERVICE EQUIPMENT & SUPPLIES • 45 W hile careers in the restaurant business have seemingly never been more in vogue, that's not the case for other foodservice industry segments. In fact, attend meetings for non-commercial foodservice operators such as hospitals or colleges, consultants, dealers, service agents and even reps and you will hear a common refrain: how do we attract young people and recruit tomor- row's leaders? "It's not even the lack of young people. It's also the business' lack of visibility," says Sabrina Capannola, senior project manager for the World Bank in Washington, D.C. She is also president of the Society for Hospitality and Foodservice Management. "People don't realize there are a lot of great things you can do in this business and have a great quality of life, too." Unfortunately, working as a hospital chef, a college food- service director or as a foodservice equipment and supplies dealer tends not to be considered one of the industry's glam- our positions. With the exception of those who had a family member that followed a similar path, any of these options would not likely be on someone's career radar. "It is a concern for those of us working in this industry," says Randy Sparrow, director, food, nutrition, environmen- tal services and grounds for Indiana University Health in Bloomington, Ind. "When I was in college we talked about our career options but they got away from it for a while and only talked about country clubs, casinos or other private sec- tor jobs. But the kids today don't know their options, and I can say that because my son just went through the process." In addition to addressing a lack of awareness, foodservice industry segments other than restaurants need to overcome some outdated and less than fattering perceptions about their businesses. Take, for example, hospital foodservice. "Hospital food still gets a bad rap in popular culture," says Eric Eisenberg, CEC, executive chef, Swedish Health Services in Seattle. "When you watch television there are still jokes about hospital food. But the amount of creativity we exhibit is not exactly at the forefront of the image we portray." Further, many outside the industry fail to realize the scope of work and creativity that goes into each individual segment. Taking another look at hospital foodservice, many outsiders perceive it as simply patient feeding. Those in the know, though, realize it is a much bigger business than that. Eisenberg quickly points out that patient feeding accounts for only 30 percent of what his team serves each day. The remaining 70 percent is spread across multiple service out- lets, including employee feeding, visitor feeding and more. "We have people who eat with us every day," Eisenberg says. "It's not just about selling or delivering a plate of food. When someone walks into our café we want to exceed their expectations in terms of the food quality and experience. And there is something satisfying when a patient pulls that dome off their plate and the food shatters their expectations. That requires someone who has been in the service industry and understands the service industry." In the event a foodservice company, be it an operator or member of the supply chain, overcomes the lack of awareness and glamour, the dynamic nature of the business will sell it- self. "Our business is not glamorous so it can be tough to get them interested. But once you get them in and they see every day is different you can make them fall in love with it," says Andy Wueste, president of Mission Restaurant Supply, a San Antonio-based foodservice equipment and supplies dealer. And once they fall in love with it? "There are just not very many people who leave after they enter this industry," says Bill Kelly, president/partner with Kelly-Mincks, a Woodinville, Wash.-based manufacturer's rep frm. "They may move around, from dealer to rep, for example, but they rarely leave." 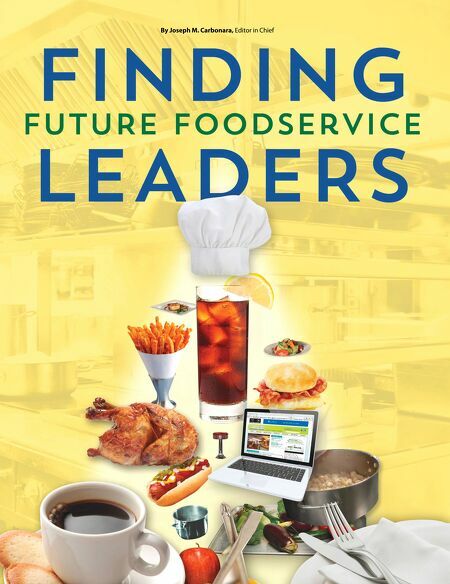 Through lots of thoughtful and diligent effort, how- ever, foodservice companies can break through and make their businesses shine brighter by incorporating the stars of tomorrow. QUALITIES Understanding what attributes a foodservice organization seeks in a potential employee begins with knowing what the company aspires to be. Successful foodservice companies will use their vision statements as a flter by which to evaluate new hires. "Our vision is to provide unparalleled service with a highly qualifed staff, be proftable and share those profts," says Bruce Hodge, president of General Parts, a Wisconsin-based service agency with branches in multiple states. General Parts is also a member of the Commercial Food Equipment Service Association. "We try to fnd people that buy into that." It's equally important to fnd people that take ownership of their careers. "I am looking for people who have a vision and goal of their own," says Hodge, a 45-year veteran of the foodservice industry. "I want someone who looks at our busi- ness and says that's going to be my career and not a job." Hodge raises what may seem like a small point but there's a big difference between the two. "A person who looks at this as their job really does not engage in the expansion or growth of the business. They will do what they do well but that's it," he says. "Someone who sees it as their career is looking for growth Recruiting next-generation foodservice professionals begins with knowing what attributes a company values in their workforce and treating their current employees well.